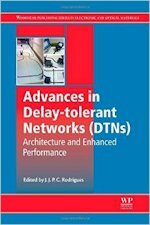 This chapter examines the use of DTNs in the context of deep-space data communications; an application area with extreme demands for delay tolerance. The discussion examines the networking requirements of space data communications, and the associated technology requirements to support a deep-space DTN solution. Specific attention is given to the requirements to receive and share the data with stakeholders, and the supporting issues around security and protection mechanisms for the data.